Today is...calendar chart to hang on children's bedroom walls. The chart includes days, dates, months and years, seasons and weather making it a truly educational and intereactive learning tool. 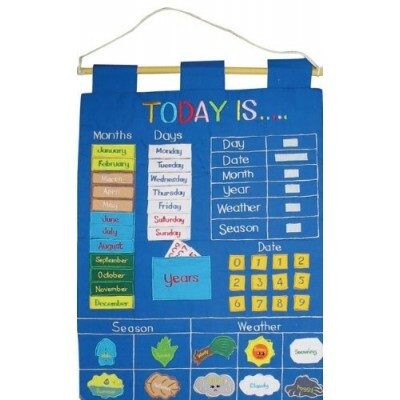 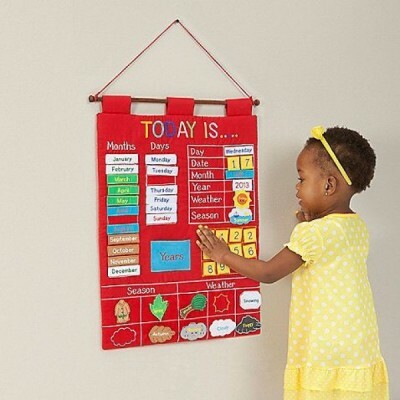 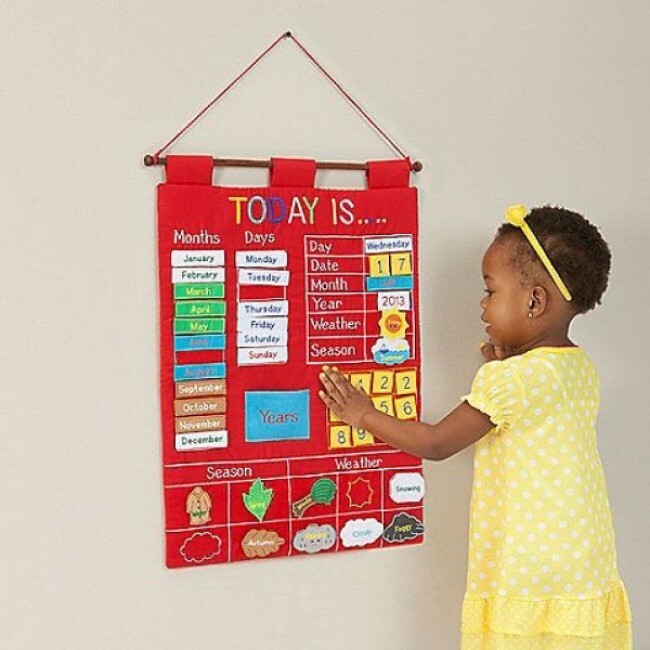 The charts and its' pieces are made of felt with fine embroidery and all the pieces are velcro backed. 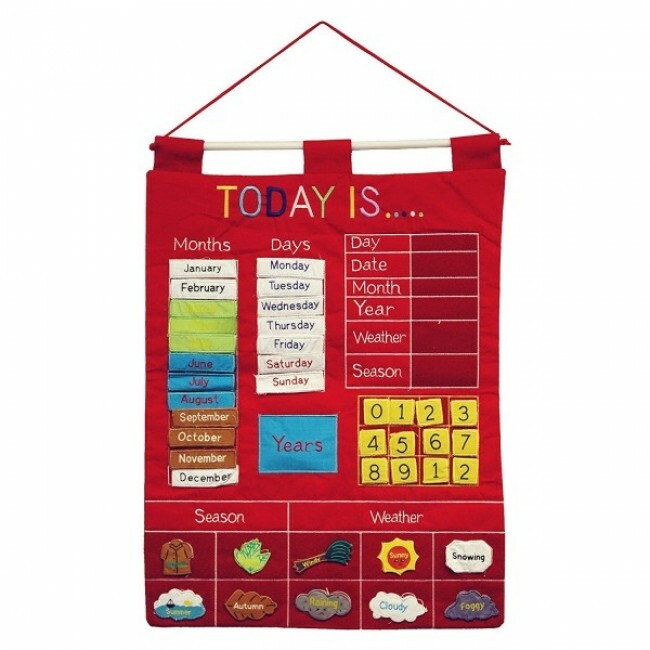 This high quality chart will last the generations and look great on any child's wall.